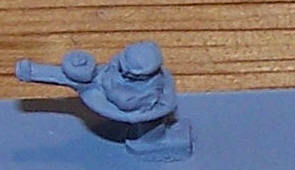 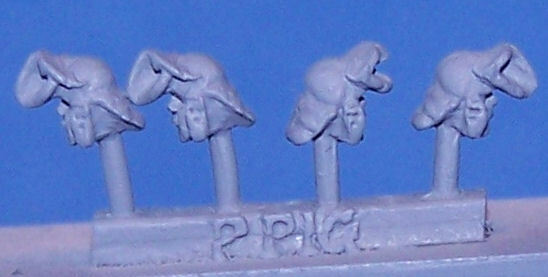 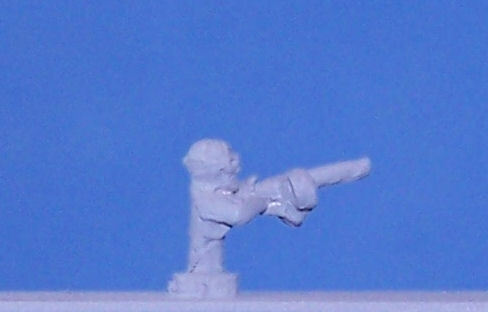 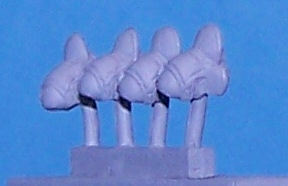 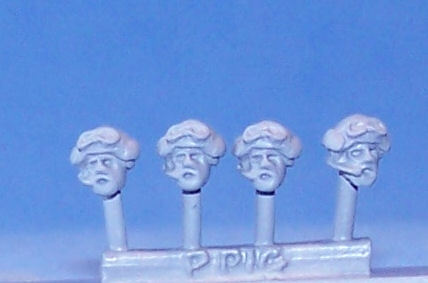 This range will allow gamers to convert figures to create troops that will probably not be made in 15mm. 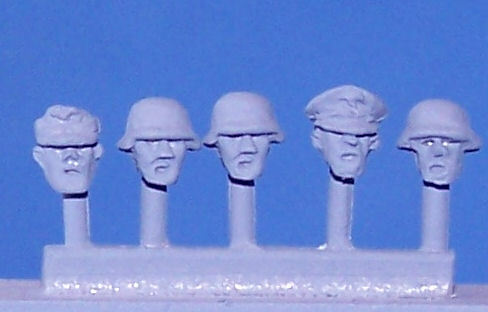 The head is often the main feature of recognition. 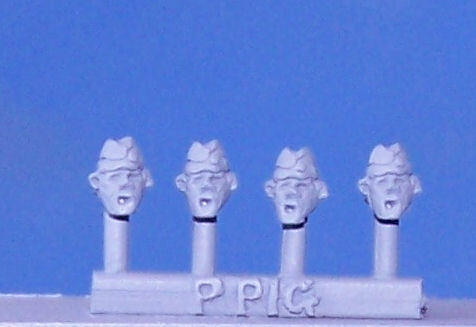 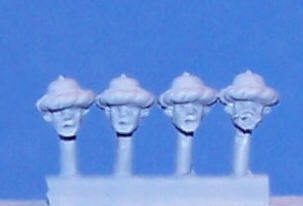 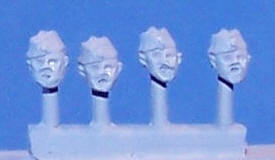 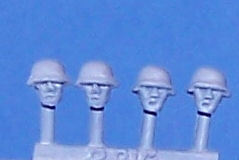 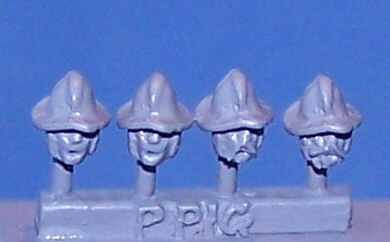 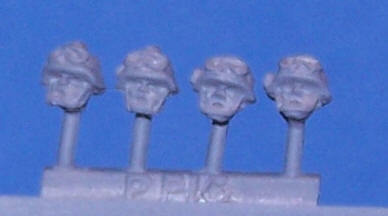 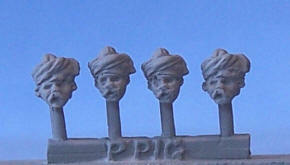 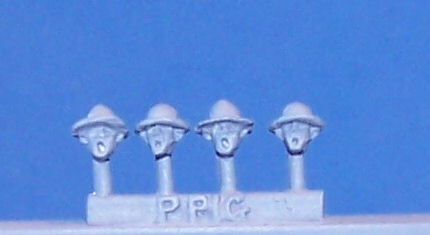 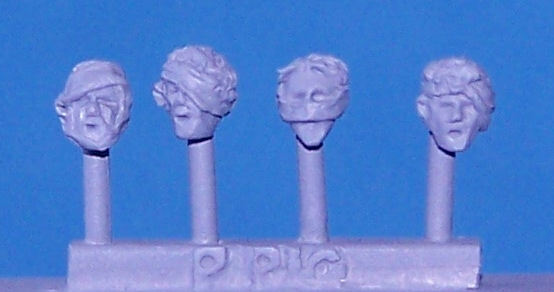 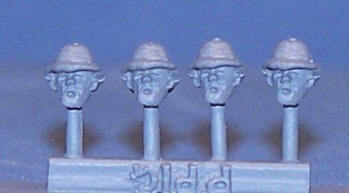 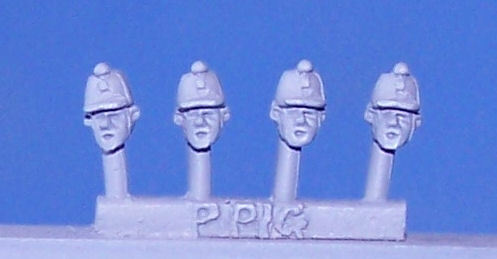 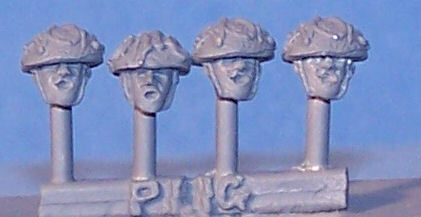 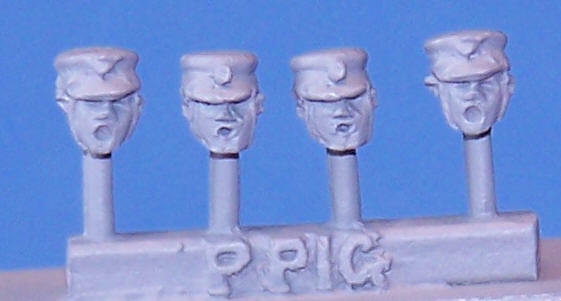 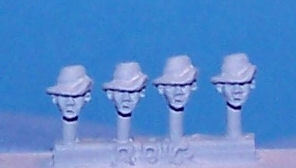 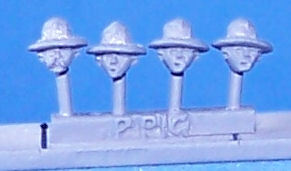 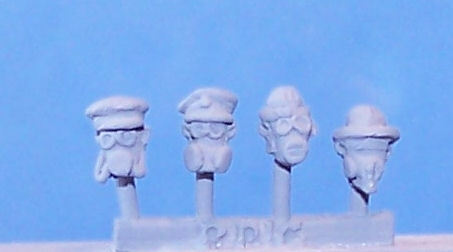 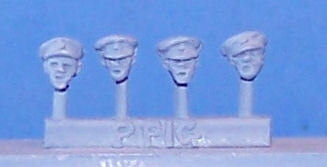 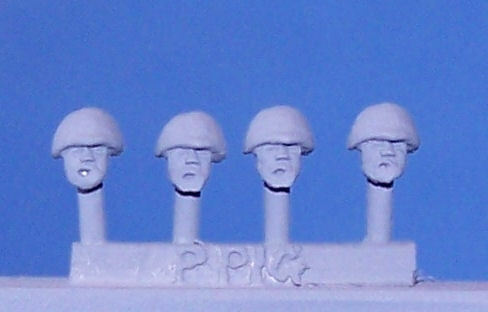 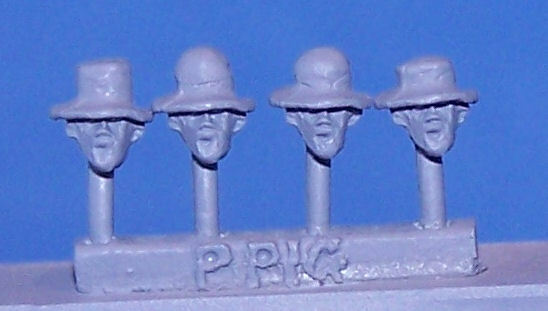 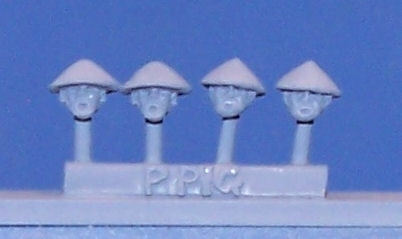 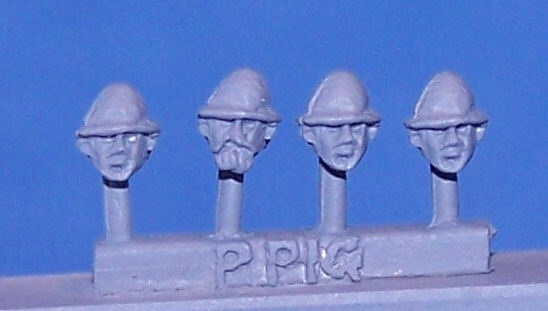 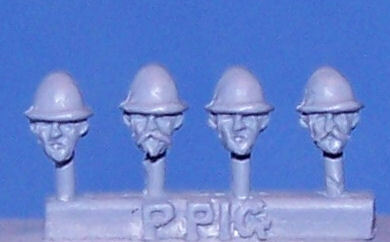 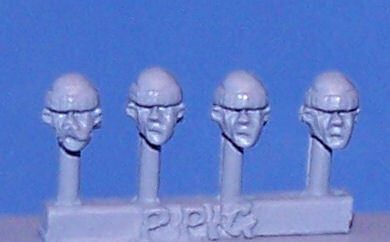 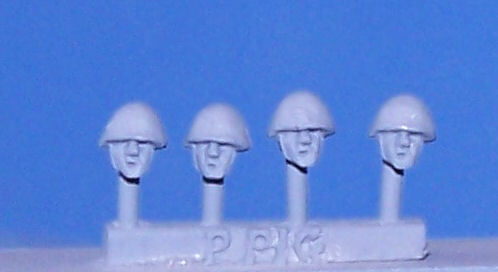 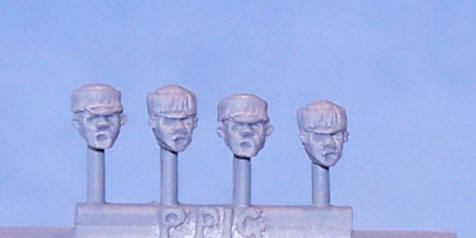 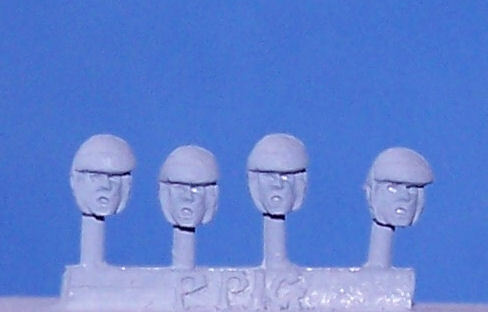 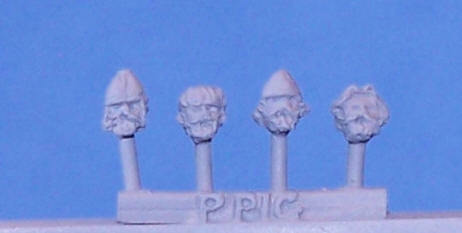 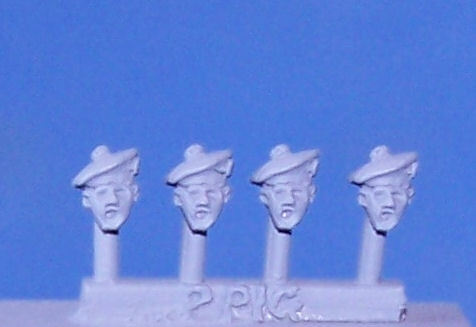 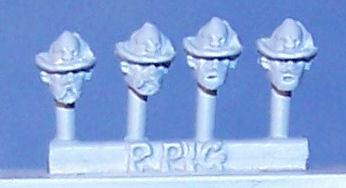 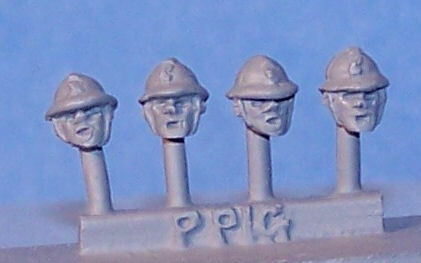 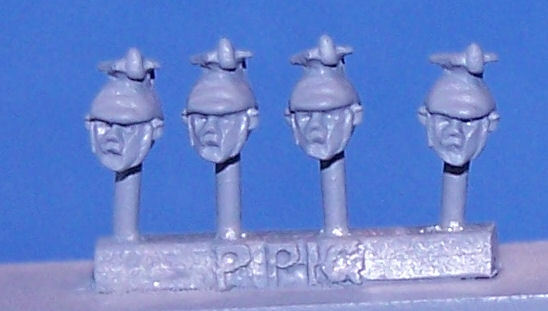 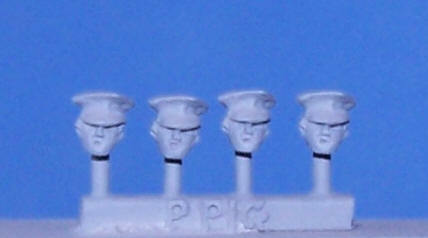 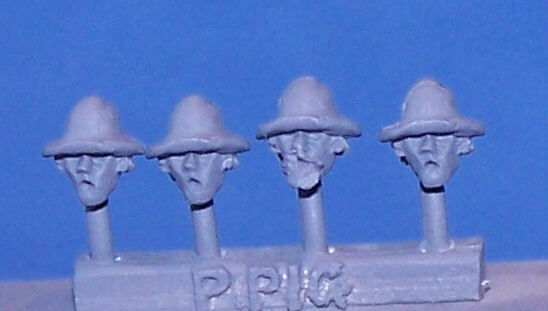 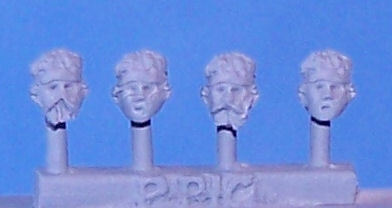 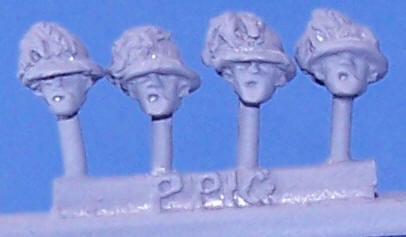 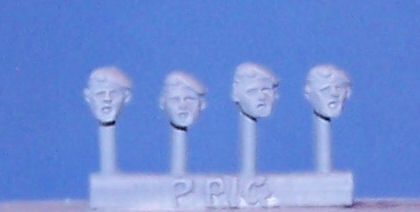 Each head is on a short spigot. 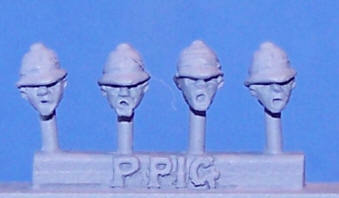 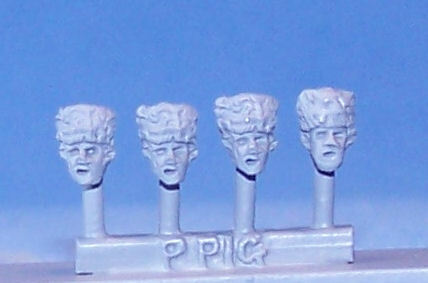 Just twist off the head of an existing figure, drill a small hole and drop in a Peter Pig head. 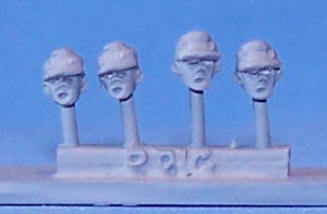 Each pack has 16-20 heads in it. 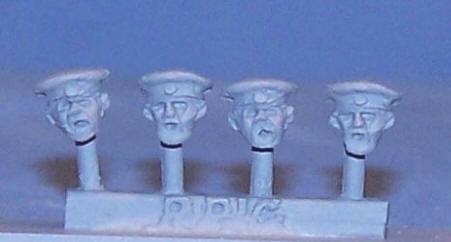 Suitable for revolutionaries and religious types. 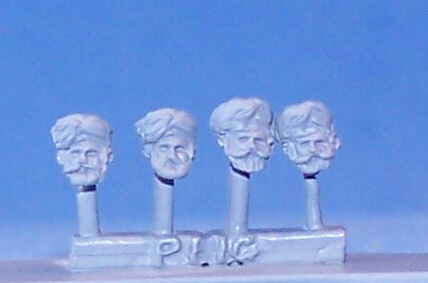 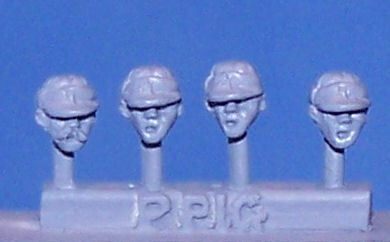 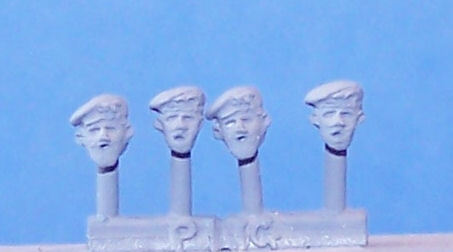 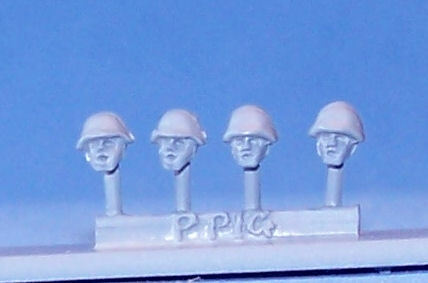 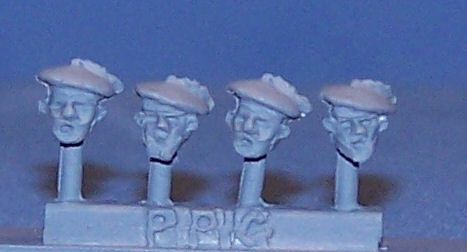 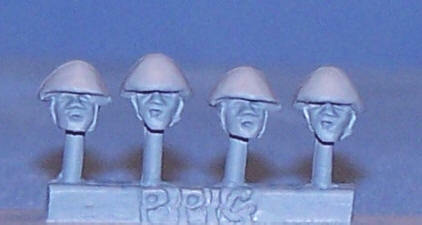 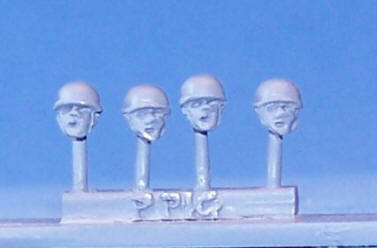 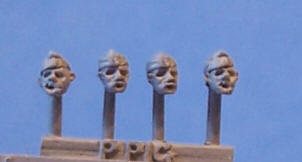 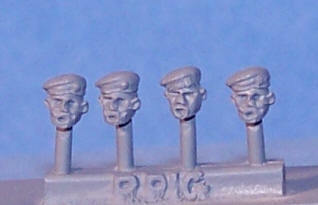 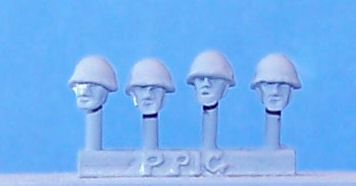 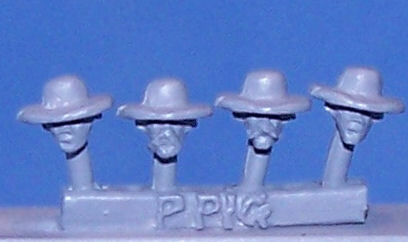 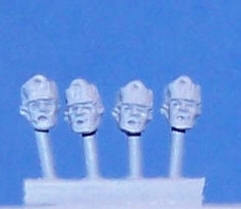 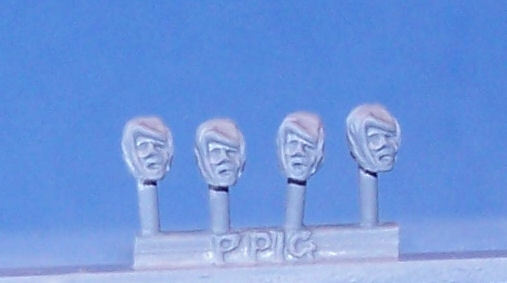 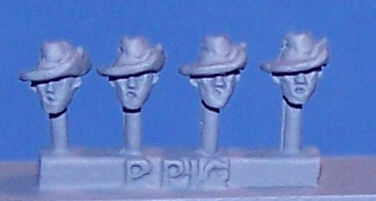 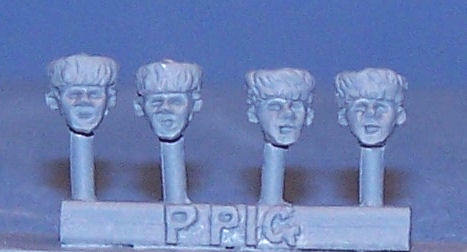 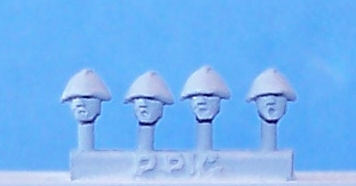 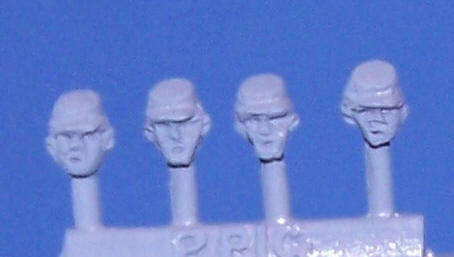 A range of heads that can be used to convert existing sci-fi figures or to make other figures look sci-fi. 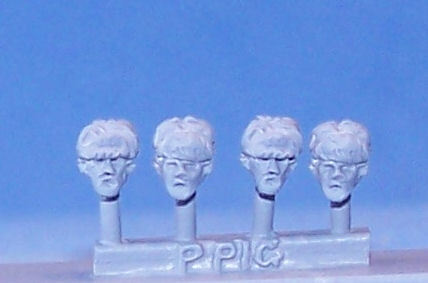 This could make your force a bit more unique. 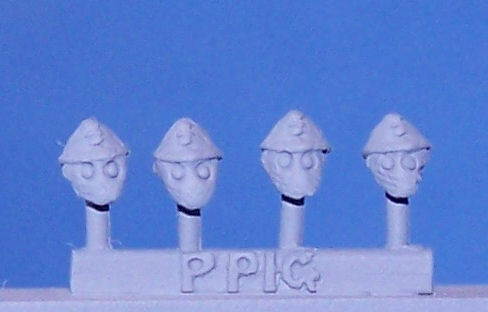 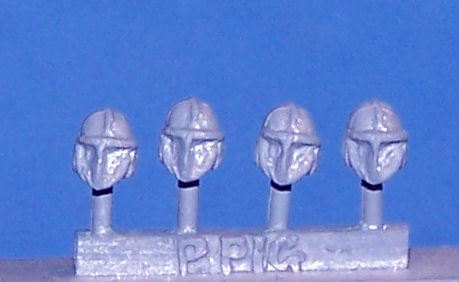 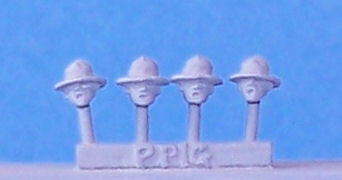 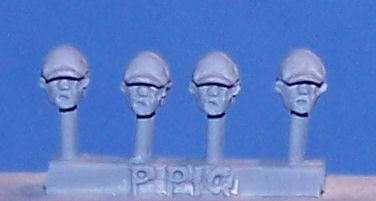 The heads might be humanoid with helmets or robot heads. 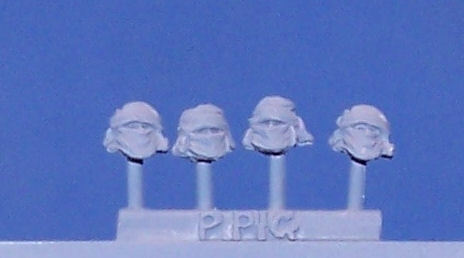 Here is a picture showing the four different head pack types forthcoming. 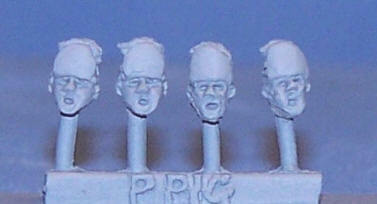 Each pack will have 20 of the same head type in it!